Every program starts with a speech, a welcome speech, an orientation, a bit of an inspirational moment that helps the group realize what they are about to do. During the Peace River Odyssey this element was critical, so that the group could see what they are doing and how to do it. Finally, when all the groups had arrived, and we transported our belongings, equipment and supplies across the swift moving Una River the time had come to give this talk. I started with one sentence had been stuck in my head since someone told me a long time before. We had been planning this project for three years and it was now coming to be a reality. The sentence was “this is a bad idea.” Almost everyone I had talked to about this project had told me one reason or another why this was a bad idea and I tried in vain to tell him or her why I thought it had to be this way. Was it the fact that we were planning to build boats with no electricity? 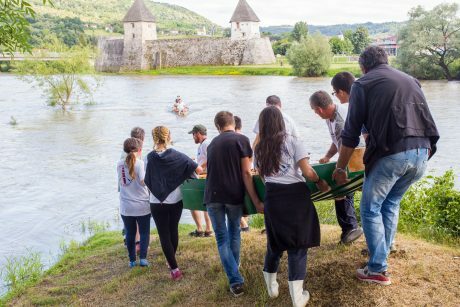 Was it the fact that the we were planning to do this on an island that lay across fast moving water with no access other than the local river boats like the design we were planning to build? Was it that the kids were coming from three different regions and the religious beliefs they held were different than of others in our group? Was it the schedule that we needed to build these boats in five days and then do an expedition to test them before the kids went home? Was it the fact that all these kids were coming from the state run homes for kids without parents, or was it the fact that the island was on the border between Bosnia and Croatia? I told the students that there were many reasons why this was a bad idea and they should take this as a challenge. They should understand that whenever you try to do things out of the ordinary, then there will be many people who tell you that it can’t be done. I told the students examples of other bad ideas I had had in the past, like carrying a ton of watermelon out to the outer islands on a 90 year old sailboat or a replica from the 18th century. In fact many of the things that I am so proud of in my life were bad ideas. I reminded them that when you do something that has never been done before, then there will surely be resistance to the ideas that you have. As we sat on the island and contemplated the next few days, the tasks set before us, the daunting schedule and exotic location, the diversity of our group, smiles began to appear on the students’ faces. A bit devious, a bit overwhelmed like we were doing something that our parents or other authority figures had told us we could not do. There was something special about this speech as we had set ourselves apart and together at the same time. It was a moment that showed us that we were together as a group about to attempt something that had never been done. In a way, the trust was build upon that moment knowing that there was a sense of uncertainty and that others would be wondering how we could do such an act. 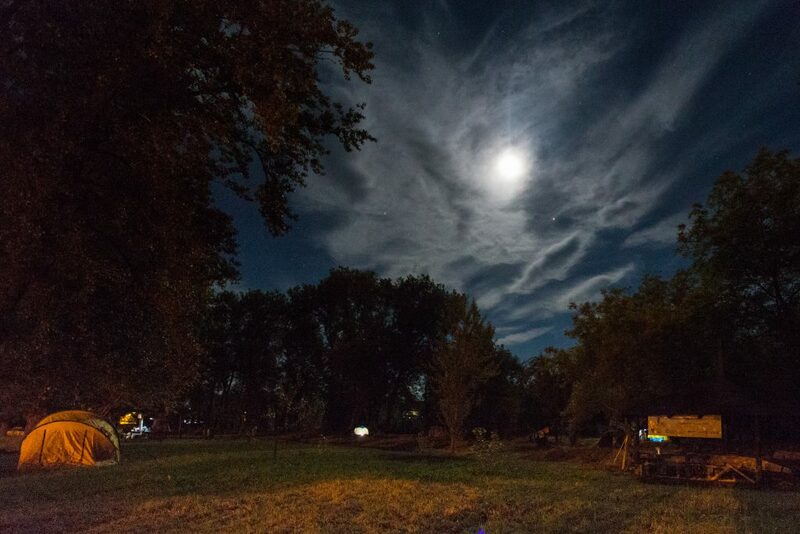 This was the first of several such moments that were shared by the group on the island named Island on the Una River. 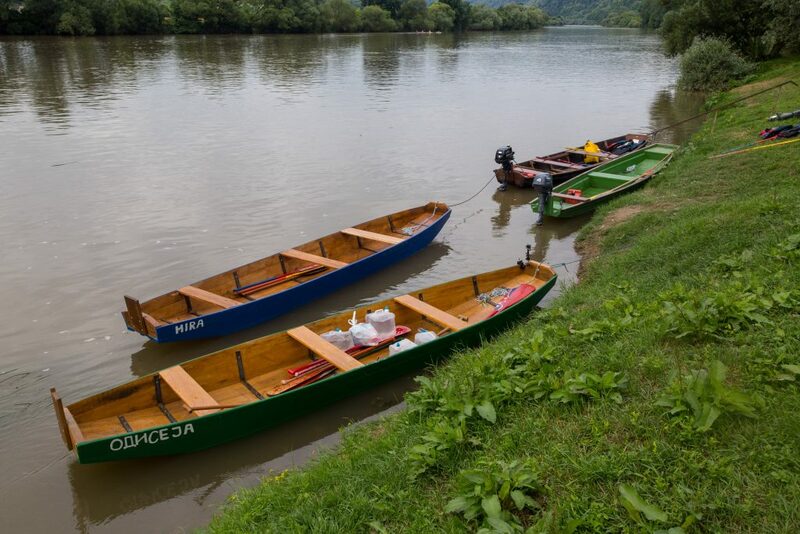 The boats we were about to build were a variety of riverboat that had grown out of this region between Bosnia and Croatia on the Una River. They were high sided, flat bottomed with lots of rocker, or curve from bow to stern. This shape, the rocker allows the boat to turn quickly in the fast water. The Kupa River boats were a bit wider and have less rocker, partially due to the fact that the water was not as swift on the Kupa. 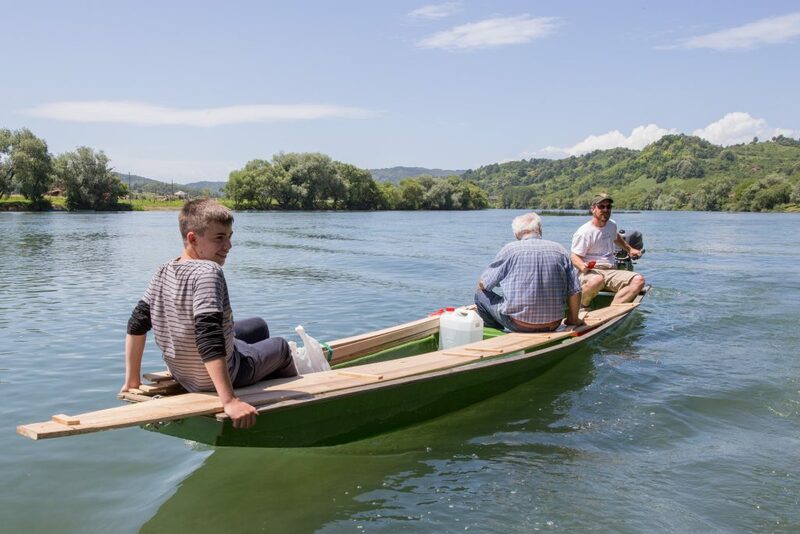 We had found one of the last boat builders in the town of Kostajnica, Stoyan Dokman. Well in his 80’s, he had prepared the wood for us, but there were no plans. We were under Stoyan’s guiding hand and his knowledge, that he had learned from years of experience, allowed us to build the boats of this specific design. It seemed funny transporting wood for a boat to an island, as if the boat itself should be finished before the trip, but bad idea and all, this was the plan. The shop was set in a little gazebo on the island, perfect for two boats side by side with tools, materials all laid out. When the students looked at the project, I wondered if they saw what I did, a lot of work. 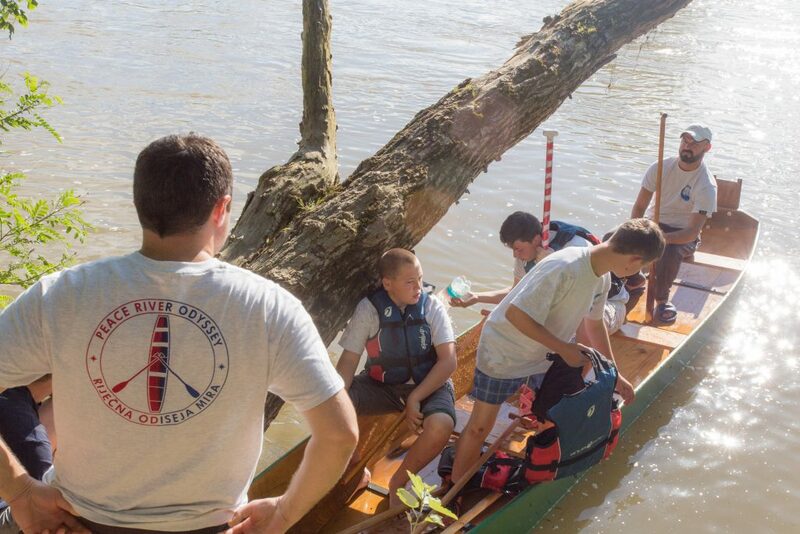 The plan was to finish the boats in five days and to head out for an expedition, the shakedown cruise as they say, to test the boats and crews on the river. The students were split into three watch groups, each group had two members of each home so that the groups were mixed. They to set up their camps together and this gave them a chance to get to know some students from other places. 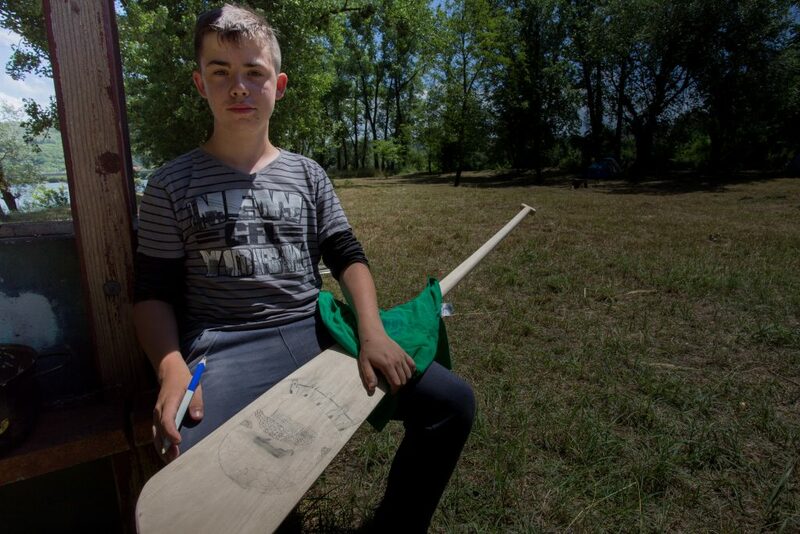 They got to choose their names: Šabani, (SHA-ba- ni) which can best be translated as ‘hillbilly’, and ljepotice i zvijeri’ or Beauty and the Beast, and Scouts. The hillbillies as it turned out were a handful, skillful in work and skillful in play, mostly mischievous in both. 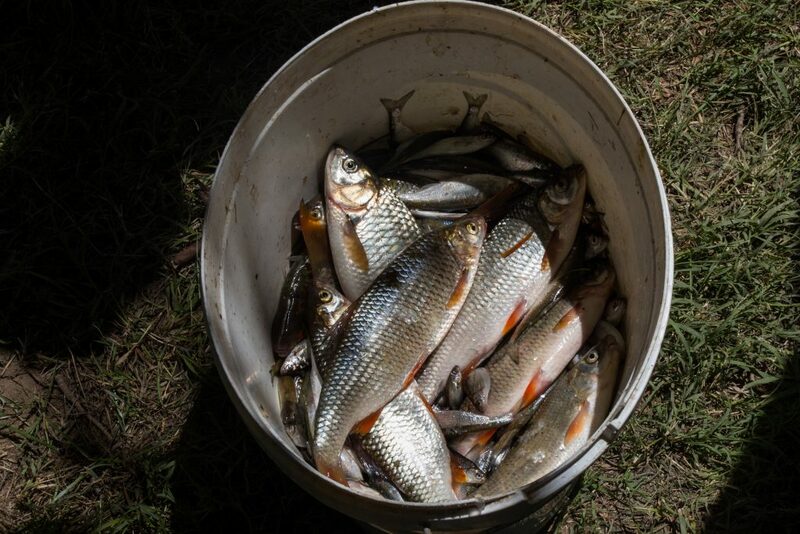 Then we split tasks so some would help with the build while others did teambuilding and ropes course and took care of camp, which thanks to the local fisherman’s club meant catching tasty fish from the river. I was delighted by how well everyone got along. There was a big conflict right in the beginning, but it was as if this gave us a chance to get out all the antagonisms early and to move to a good place where we could get to know one another. Especially the grown ups. It was as if the conflict had brought us together. It also made me wonder about the power of conflict itself. How it brings people together, the common enemy and the way a group balances themselves with the “other.” I had seen this in writings and at various times in life. I was glad that this time the groups dynamics in our camp were lead so proudly by the leaders from the homes, who were also from three regions. Every afternoon we all sat for meals and laughed and joked in the group. Games were a high point, around the fire or after dinner we laughed and played till way too late. The group itself had gelled. Three individual groups made up of members of each region and then divided and made whole again, this was our method, modest but effective in its approach. Each group got a chance to work with me in the shop and the boats slowly began take shape. It seemed more and more each day, that this was not such a bad idea after all. 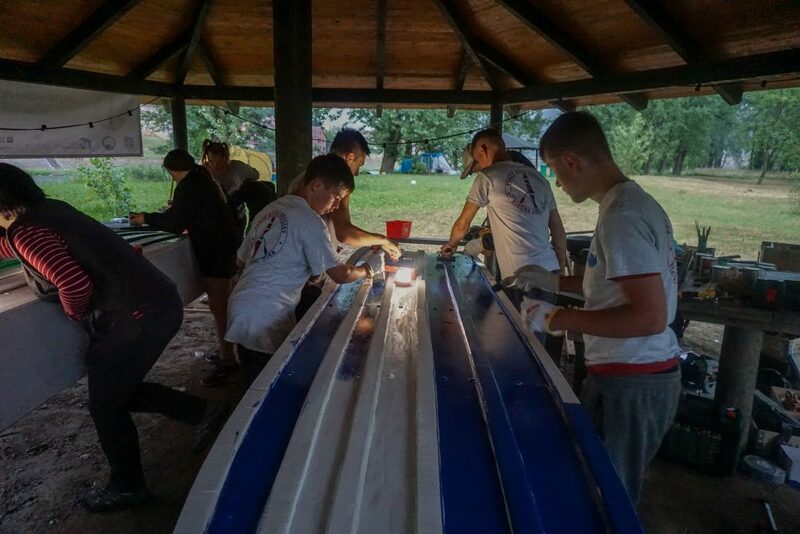 With four-hour shifts, the sides were put on, the planks fitted and we slowly began to build our Una boats. By the end of day four, we were ready for paint. The island had some fairly difficult geography. It was shaped like an eye, with two points on either end and long arching curves going down the sides. At each bank of the island was a particularly fast moving current. Several times we had put on our lifejackets and floated from the top though the current back to our camp. This was kind of like the slide at the playground. Run up, hop in, and slide down, only to ask, “Can we do it again?” This down river swim was very exciting, but as one may imagine, not the best place for launching a newly built boat. Several months before when I showed the location to a friend in the computer he said the island was in the shape of a boat in a tone that lent itself to destiny. “Of course you are building these boats on an island that looks like a boat,” He said in not so many words. The pointy tips of the island’s bow and stern seemed to be the best for our launch. The calmest water seemed to be on the eastern tip and we picked up the boats and brought them down to the point. There was room for just a few people on either side, and the spectators struggled to get a view of the ceremony from the place where the island widened enough to stand as a group. The students picked the names, Mir, and Odysesa which together means Peace Odyssey, We had written on each side the names in Cyrillic Script as well as in Roman Alphabet. Each side represented a cultural notation and the boat represented the place where they shared them. We slipped the skiffs into the water, careful where to touch, since the paint was still fresh. We had been up the night before with brushes and flashlights painting the last coat and in the daylight we had notice a few big spots we had missed. Working on boats, I have learned that launch day is always accompanied with a brush and a can of paint. As soon as they went into the water the shouts of excitement and cheers roared up! “Hip Hip Hurrah!”, they we yelled in the best nautical fashion we could muster. We towed the boat up to a quiet lagoon and got chances to paddle, turn, and glide through the relatively calm waters projected by a little island. Most of the guest left as we were talking and planning with our new watercraft. We barely noticed and as the excitement wore down we were left with just us. The Mayor, fishermen, and elder boat builder Dokman had all gone home and we had also settled down into and bit of a quiet satisfaction. Resting on the beach looking down at the new boats students got a chance to reflect on the week’s accomplishments. Marko and I had done some scouting up river. We thought that the best place for the expedition would be to explore the areas around the islands that were up stream from our camp. In the end I was the one who had stepped ashore. The island was similar to ours with a narrow point and sloping beach but not much of a landing. I thought I would work as a lunch stop. The grasses were high, but there was a picnic bench and if we made a bit of a nest we could find place for all 22 of us. I returned back and told Marko and the group that we would head upstream. The beauty of doing something new is that you have never done it before. Potential surprises are expected and plans are usually just plans and can change. That was evident when we started the trip. 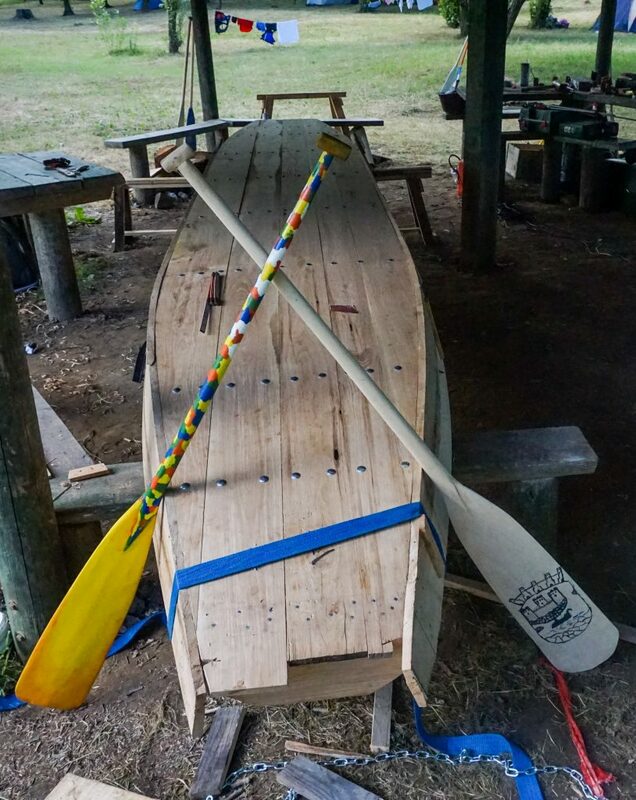 Our week had been spent building boats and we had worked hard planking, sawing, and painting our new vessels We did get a bit of rowing in, but it was preliminary and not the practice we needed. 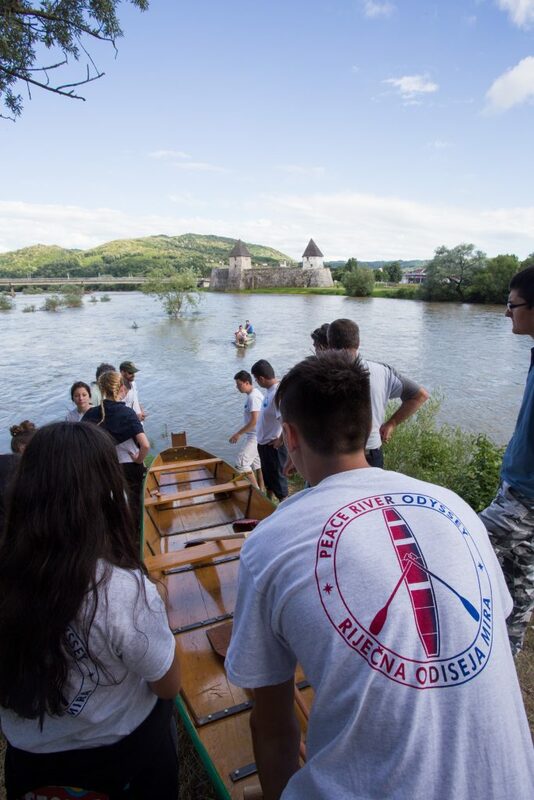 When we started our trip, we first towed the boats to the calmest waters in the river and gave the kids a chance to row without any current. Working their way up river, the bow was tempted to turn left then right and it was difficult to keep strait. Every time they would get a bit of headway, the narrow boat would turn and skate down stream losing in a second what had taken minutes to earn. Our scene was chaotic. Newly painted with bright colors, our boats were in different corners of the river struggling to climb against a slight but steady current to reach the island. Šabani had managed to tame the squirmy vessel and were now working off in the distance. I then realized one of the design features was hindering our progress. The shape of the bottom, with bow and stem turned up, the rocker, made the boat want to turn. As soon as any speed was put in the boat then it wanted to flip around. It made sense these boats are used to navigate the swift water of the Una, to turn and dart between rocks and to nimbly dance on the rapids. The key to forward motion was to not row too hard; steady paddling, but not to fast would keep the boat moving straight. I was on the motorboat and was able to zoom around and coax the other two boats up stream just before total calamity ensued. We had a real mutiny on our hands. It was hard and while we worked to get the kids to cooperate. I saw the landing spot was aborted by Šabani. Seeing that the boats were on track, I took off to see what was happening further up stream. Apparently they said there was not enough space and someone saw a snake when they stepped on land, a seriously bad omen. With the boats scattered throughout the river, I convinced them to please try to set up camp there for the time being and if there really was an infestation, we would move when the other two boats arrived. Slowly the other boats made their way to the island. Bad idea and all, the landing was good enough and the mutinous murmurs subsided and we all made it to Snake Island and had a picnic lunch. After lunch we paddled and played on the banks and headed up further to explore the upper reaches of the river, played in the fast moving currents and swam near an old mill. 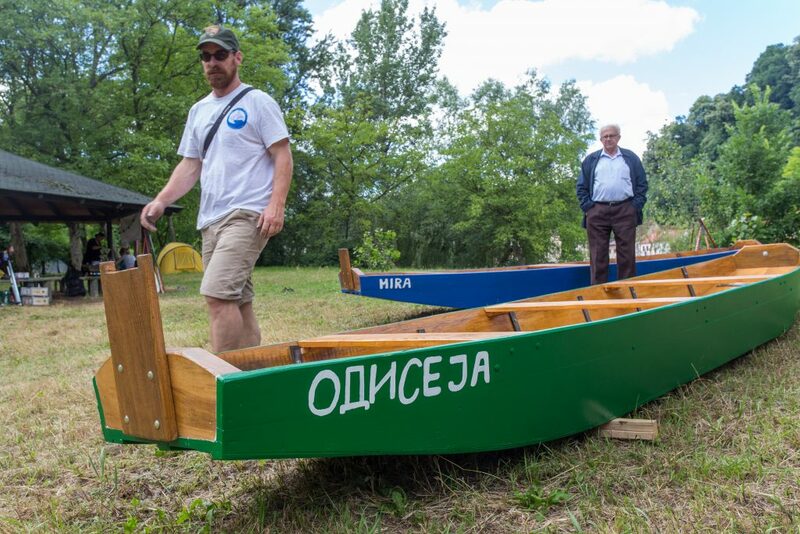 We saw some fishermen on the Bosnian side with boats similar to ours and waved one of our paddles that had been painted with the Bosnian flag. For them it think it was unclear which side of the border we belonged, as our group maintained positions in all reaches of the waterway. 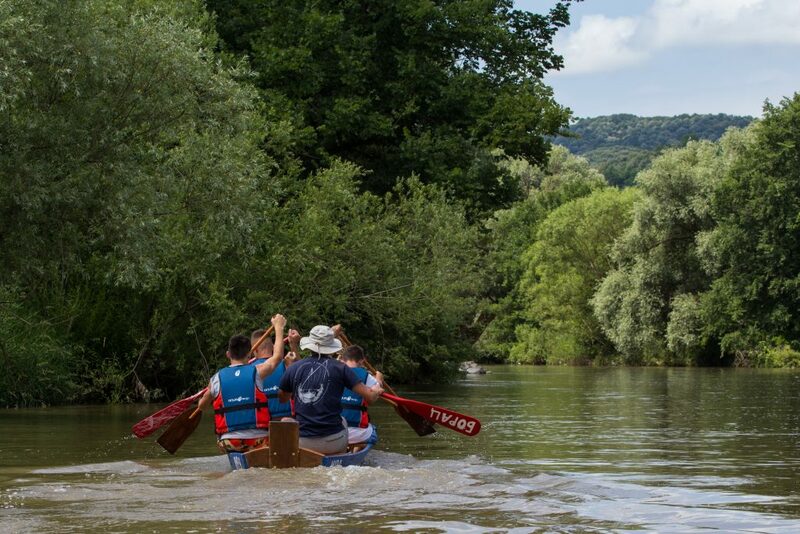 The trip back downstream was quicker than we imagined, with boats careening down stream to the place where we launched. Only Šabani took off and headed for faster water. 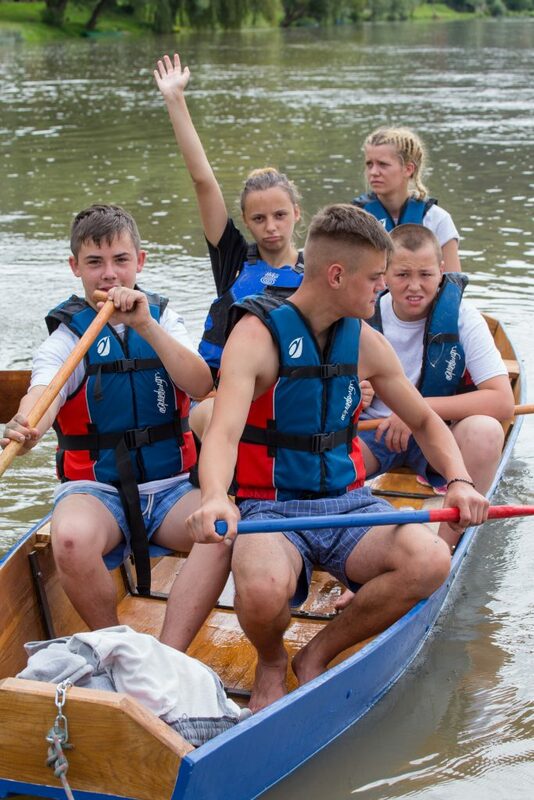 I didn’t expect them to take the boat into the swift water, but was impressed with their skills nonetheless. They skirted the eddy and rounded up right into our little landing, safely at Island. I was not happy that they had gone into the current, but had a hard time reprimanding them since their boat handling was superb. All I could say was “that was a bad idea,” and we all laughed. When we started the program Mr. Dokman had made for us blank paddles, no paint, not sanded, just a rough piece of wood that each of the student would get and customize. We had the idea that each of us over the week would, in our free time plan a design for our paddles. Rather than just explain this, we decided that the opening ceremony we would use this as our metaphor for the week. 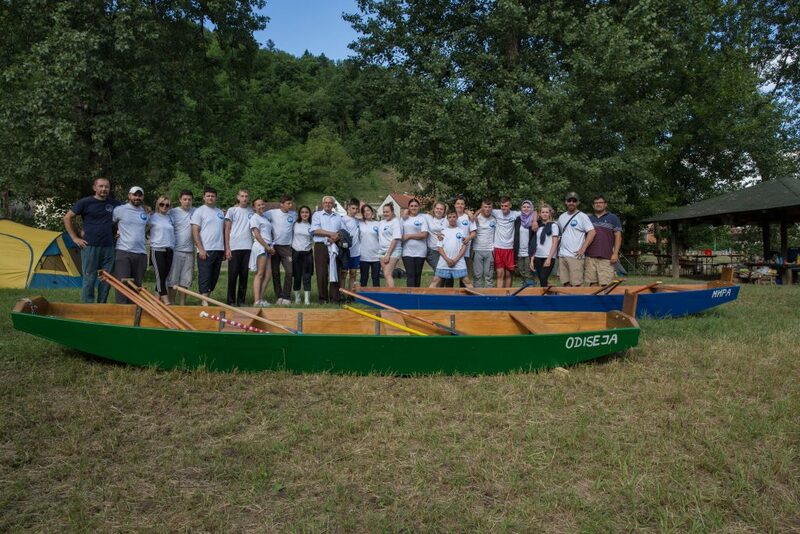 Each of us came to this program as a blank slate, had filled the paddle with color and shapes as the week went on that emphasized our individuality. We found a tree, a small one, we called the paddle tree, and stacked the blanks all around. The paddles were balanced and one by one the students took one paddle down and said to the group what they hoped to get out of the week. As the trip was now over and we were all getting ready to go home each student did this in reverse. 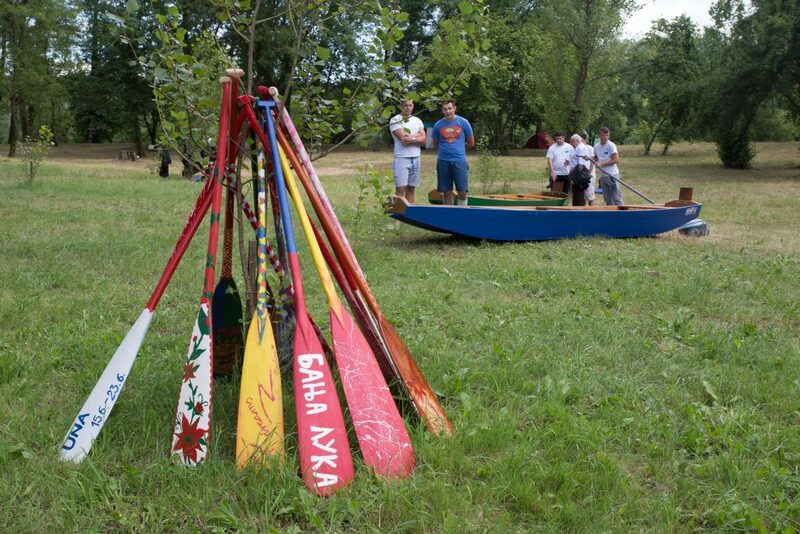 Each of the kids took the paddle and they would take it home with them as a memento of the Peace River Odyssey. We got to see each of the designs and color and reflect on the weeks adventure and the look on their faces when they lifted their eyes as if they had picked a prize and we all knew its contents. Being on an island cut off from land has its own sets of challenges. Doing a program on an island with no electricity, or access for vehicles of other than boats, was more amazing than we had imagined. 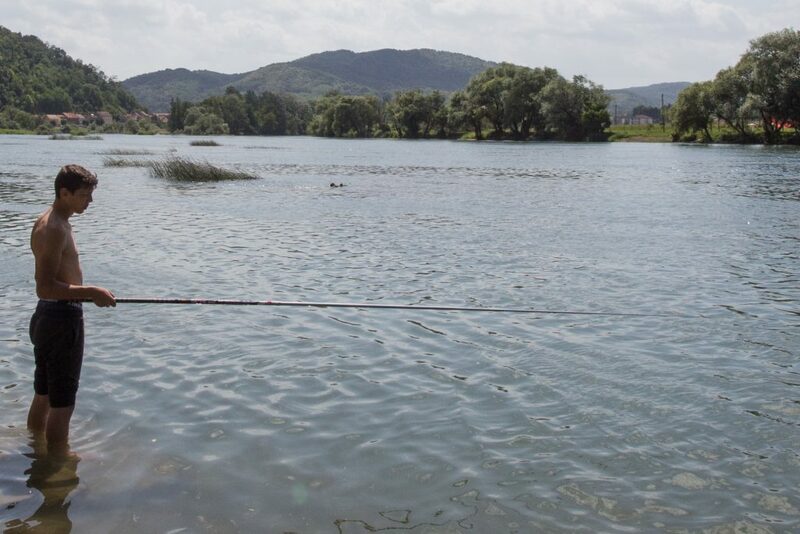 Swift water provided the barrier to the lands around us, Bosnia on the south and Croatia in the north. 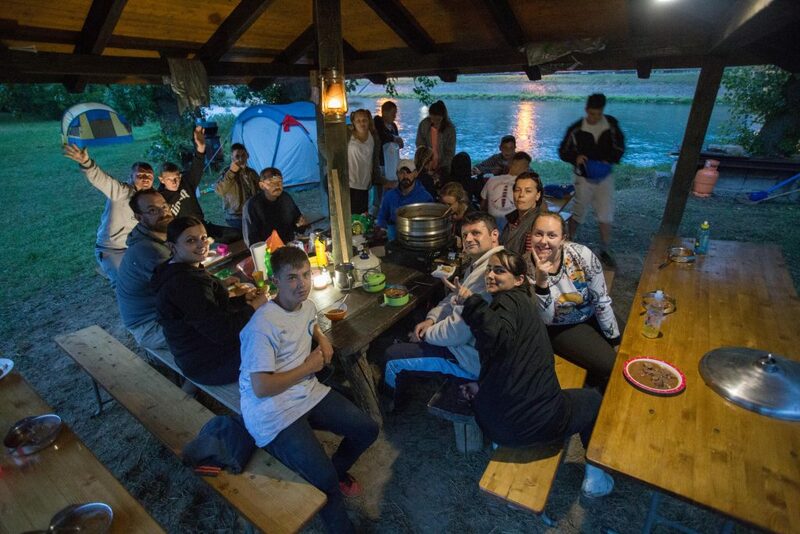 The island itself was like a safe space for the students to work and to build the connection with the others from the different regions, build friendships with each other, build the community in this watershed, on which they reside, and to build the boats that they would take back to the home town that they were from. Each day the process of building was tested with challenges and each time a challenge was overcome the bond grew. Now we were set to say goodbye and the memory of our time on the island would stay with each of us for years to come. In truth the only “good idea” that was left was to go back to our homes in our respective regions to share what would be an unbelievable experience. Geographic Storytelling: Insight into Participatory Mapping as a Tool for Intergenerational Sharing in the Kornati Islands.